Netent was founded in 1996 making them one of the true pioneers of online casino software development. Their first casino came along in 2002 and such was the growth of the company that they were listed on the Nasdaq OMX exchange by 2009. 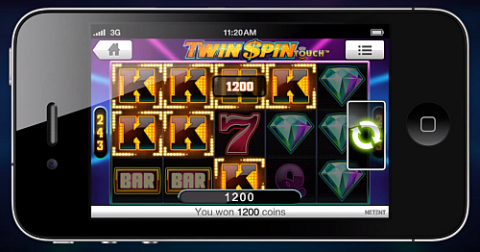 Always ahead of the game, Netent designed their first casino game designed specifically for a mobile device in 2011. Gonzo’s Quest Touch would prove to be a big success and many other slots have followed in its wake. In this overview I start by detailing the particular features you’ll find at any games in the Netent Touch slot range, before delving into some actual gameplay. I’ll then focus on the range of games you’ll find available, finishing by picking out two particular slots that are highly recommended. Unibet Casino is one of the biggest brands around, with more than 660 games including NetEnt slots and table games. These include all of the main progressive jackpot games. Top that off with a €200 welcome bonus + 50 free spins on a jackpot slot, and you’ll see why Unibet Casino are hard to beat. Check out the latest offers and brand new games among the NetEnt titles at www.unibet.com now! 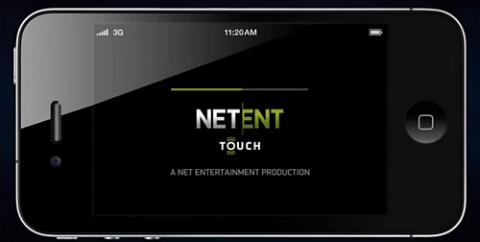 The Netent Touch range has been developed for both Apple and Android devices. The portfolio is based upon the top performing games in the Netent range and these slots have exactly the same features as you find at the desktop versions. However, the touch slots are optimized for mobile play, making gameplay more accessible for smaller screens. The first thing you’ll notice when playing is that the slots will fill the entire screen, which is obviously a plus point. However, the biggest change is the ease at which you’ll actually control the action on the reels. When you’ve loaded up a particular slot you’ll find a large spin button either to the right of the reels if you have the device in the landscape position, or below the reels if you have the portrait orientation (the landscape is much preferable, as you’ll have the full screen effect). A simple touch of the spin button will see you playing immediately. Of course, you will want to play around with the stakes and lines and you’ll do this by clicking on the hamburger button in the bottom right hand corner of the slot. Here you’ll find sliders which you can use to set the bet level, the coin value or the number of lines – these options obviously varying from slot to slot. In this menu you’ll also find a link to the pay table and game rules, with options to set the auto play rules and change the sound settings also. Returning to the game itself, you’ll find a small ‘+’ button attached to the oversized spin button and clicking this will show two symbols. The first is the auto play which shows the number of spins and clicking this will set the slot in motion – in the settings you’ll be able to customize the number and also whether you want to stop if landing a feature. You’ll also find an image of a hare, and this will make each of the spins more rapid, the reels coming to a halt much quicker than usual. Since the release of Gonzo’s Quest touch in 2011, there has been a steady release of touch games in the intervening years. Currently there are a total of 37 slots in the range, as well as roulette and blackjack touch games. In the range you’ll find many favorites such as Jack and the Beanstalk, Steam Tower and Twin Spin, while Jackpot hunters will be more than pleased by the presence of Mega Fortune. Themed games also appear with Frankenstein, Jack Hammer 2 and two games based on the South Park TV series (South Park and South Park Reel Chaos). Gonzo’s Quest – There was a reason that Gonzo’s Quest was chosen as the first slot in the touch range – it’s brilliant! Gonzo himself is the star of the slot, standing to the left as the blocks fall into place. This game features tumbling reels, where win after win can be gained for the cost of just one spin, with multipliers increasing for each of these wins. Land the feature and the multipliers go crazy, with 15x wins a regular occurrence. What makes the game even better are the excellent graphics and Gonzo himself, who keeps you entertained throughout, although watch out for his breakdancing – it’s not pretty! Twin Spin – Take one look at the symbols and you might think that this is something of a traditional game, as the red sevens, the BARs and cherries all make an appearance, but it is anything but standard. Firstly you’ll enjoy the all-ways winning system, with 243 actual ways to win, but what really sets the slot apart is the fact that at every spin, two attached reels will reveal exactly the same symbols. In fact, some spins will see even more reels match up, on occasions all five, ensuring that payouts can be huge. This is a fun, fast paced and engaging game, which is perfect for play on the go.